Legal services may be one of the last industries to be disrupted by technology, but the momentum is picking up. While cutting-edge technologies like artificial intelligence (AI) improve efficiency in reading documents, the greater change is coming from relatively basic technology that handles the routine tasks involved in managing workflow, handling documents, and even digitizing information. Attitudes are slow to change in an industry dominated by partnerships, but the pressure from clients is building, as is the desire from lawyers themselves to improve their services. Legal tech looks to be following along the path of fintech, albeit at a slower pace. For a decade now, Mitchell Kowalski has been unhappy about how law is being practised. He said it is still being practised like it was 1975. The visiting professor of legal innovation at the University of Calgary is a recognized leader in Toronto’s burgeoning legal tech ecosystem, and has written two books on revolutionizing the legal services industry. 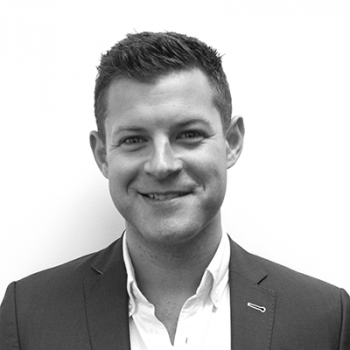 “There’s been little impetus within the industry to cause change, and it’s only really been since the financial crisis, which has forced clients to think differently about how much money they want to spend on legal,” Kowalski said in an interview. Legal services has been slow to adopt technology to bring efficiencies and provide a better customer experience. Individual clients don’t use legal services as frequently as they use financial services. And as corporate clients gradually adopt more technology, they start to expect as much from their lawyers. Mat Goldstein, co-founder of legal tech company Dealmaker and practising Bay Street lawyer, draws the distinction between the advice and execution parts of legal services. Lawyers are good at delivering advice, but basic technology can greatly improve the execution of the services. “Your customers don’t care what technology you’re using; your customers care you’re solving a problem,” Goldstein said in an interview. 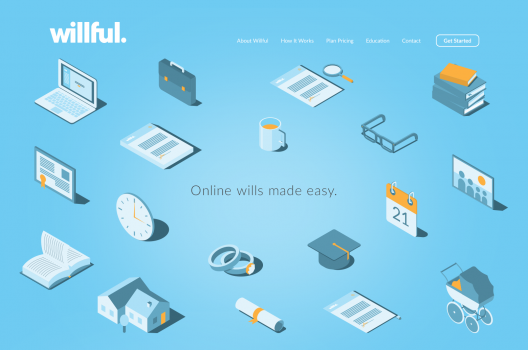 In the case of Willful, an online estate planning startup, it is using technology to provide a better experience, much like what fintech has brought to financial services. “When we were talking to potential investors, we would explain it as, ‘You know, we’re like the Wealthsimple of estate planning,’” said Kevin Oulds, Willful’s founder and CEO, in an interview. He also points out that over 56 percent of Canadian adults don’t have a will and that it comes down to cost and convenience. While fintech firms provide specific functions offered by the big banks at a fraction of the cost, Oulds’ company does the same for estate planning. 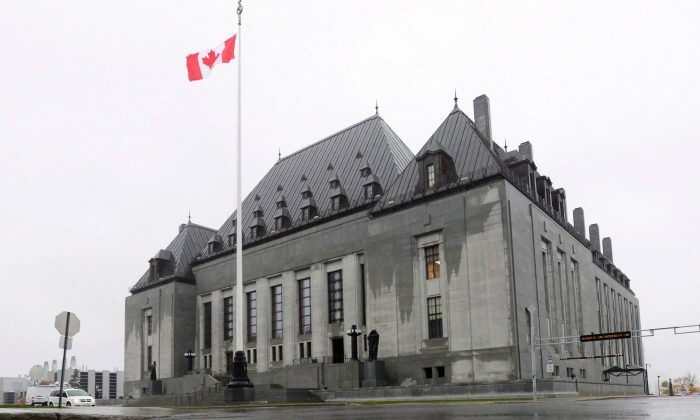 “For the majority of Canadians, they don’t need to be paying $1,200 to a law firm where they have a fairly basic estate,” he said. Willful is coming up to its one-year anniversary and has created almost 2,000 legal documents to date, operating in just Ontario and Alberta. According to Goldstein, a lot of legal tech companies are started by lawyers who have gotten frustrated by manual processes involved in the day-to-day work, believing there must be a better way. Law firms have gradually been feeling more pressure, but it’s not like the industry is undergoing wholesale change yet. It’s not quite the type of perceived threat that fintech startups posed for the big banks a few years ago. But there has never been a better time to be an entrepreneur given the availability of technology, funding, and community support systems from business accelerators, advisers, and other like-minded entrepreneurs. Toronto is a legal tech hotbed. Kowalski has set up a group that meets once a month called the Legal Innovators Roundtable. It’s an important part of the Toronto legal tech ecosystem that keeps the innovation conversation going and attracts local and international lawyers. In addition, Ryerson University has the Legal Innovation Zone (LIZ), the first legal tech incubator focusing on building better legal services solutions. Traditional attitudes within law firms will take time to change. The legal services industry is one that makes most of its money on hourly billing. “If your business model is based on more people billing more time, it’s hard to understand why you would invest in a product that lets you do the same amount of work with less people and less time, because that equals less revenue for you,” Kowalski said. Kowalski explains that because law firms are partnerships, they don’t invest for the long term like a corporation would. In this respect, legal tech lags fintech, with the big banks being further along the curve of adapting to technological change. This adapting includes venture capital investments, partnerships with fintech firms, and the creation of in-house innovation teams. “Every dime that gets spent on anything in a law firm is something that comes out of a law firm partner’s pocket, so they don’t invest for the long term,” he said, adding that it’s harder for these partnerships to think beyond one year. There are some exceptions, like Dentons, the world’s largest law firm, which has set up a fund that invests in legal tech. Kowalski, who has numerous speaking engagements, said lawyers always ask him how long they have before they need to get some technology in place. “What they’re really asking me is: ‘How long do I have to put this off?’” he said. “Changing people’s behaviour is very hard, and changing lawyers’ behaviour in particular is uniquely hard,” Goldstein said. Legal is moving to a more interactive and collaborative service, which is enabled through technology. Corporate clients should be better able to see how a deal is progressing, what costs have been incurred, and what remains to be done. Individual clients want more control over cost and greater convenience. This is a major change from law firms just coming back with the end product and a hefty bill. One consistent belief is that lawyers aren’t going away. Also, they should be able to focus more attention on providing advice. Experienced lawyers will still have to scope out the problem and determine the solutions.